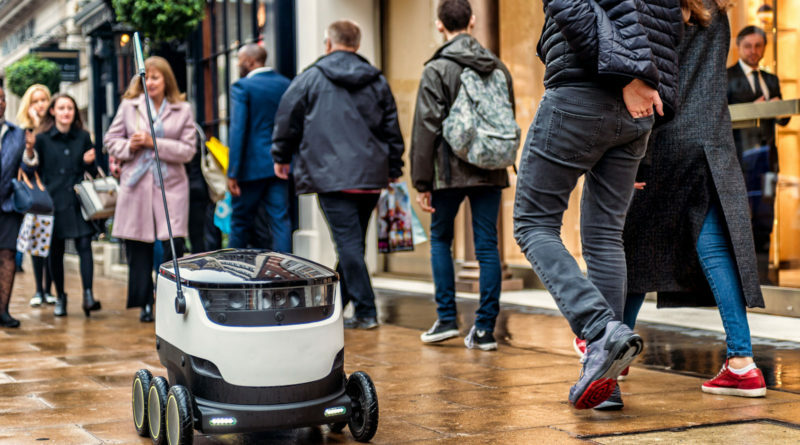 The State of Virginia makes history by becoming the first U.S. state to legalize the use of delivery robots on its sidewalks and crosswalks. Virginia lawmakers passed House Bill 2016 – a law that allows for the operation of delivery robots on the sidewalks and shared-use paths and across roadways on crosswalks in Virginia. The Governor of Virginia signed into law House Bill 2016 last Friday. The new law will take effect on July 1, 2017. The new Virginia law mandates that all delivery robots, also known as electric personal delivery devices, must have a plate or marker that identifies the name and contact information of the owner. The new law further mandates that delivery robots can only be operated on sidewalks and crosswalks, and these devices must be equipped with a braking system. This Virginia law further sets the speed limit of delivery robots to 10 miles per hour. The new law also requires that all delivery robots must be guided by a device operator who actively controls or monitors the navigation and operation of the delivery device. The law additionally directs that delivery robots will not be considered as vehicles and are exempt from the motor carrier provisions. House Bill 2016 was introduced by Virginia Rep. Ronald Villanueva. “There wasn’t push back [from legislators]. It was more like intrigue and curiosity about the technology, what the application would be, how it would benefit the citizens,” Rep. Villanueva told Recode.